Over the last two weeks, we’ve looked at the complete Modern Masters 2015 spoiler. We explored lots of individual cards, what this printing means for their price outlook, and the texture of the set overall. I wanted to make sure we all had as much insight as possible into what was hitting the streets, so that when it does, we’ll all be ready. One thing I didn’t cover yet that is quite important, like yin to yang, is not what’s in the set, but what’s not in the set. The absence of some cards will have just as dramatic an impact on the market as the inclusion of others will. After all, when Emrakul, the Aeons Torn was spoiled, prices didn’t crash overnight. Yet once the full spoiler hit and Inkmoth Nexus was nowhere to be found, it more than doubled in hours. Keeping tabs on what’s in the pipeline and not standing in the way when the reprint bus barrels down the street is a good way to make sure you don’t lose money, but if you want to make money, you need to be paying attention to what’s not showing up on time. Today, we’re looking for the gaps and the omissions. Our goal is to understand some of the reasons some of these cards may not have made it in, where they may show up next, and what all of this means for prices over the next six months. Visions is perhaps the most egregious offender in this roundup, with public discussion regarding its curious absence more prevalent than any other card. As a $10 common played in roughly one-fourth of all Modern decks, what could possibly be a better option for a reprint? Many, myself included, thought it was coming all the way back in September when the art for Omenspeaker was revealed independent of the rules text. When the Theros block, which even contained scry, came and went without Visions, we were all a bit confused. Expectations shifted, placing Visions in MM2015. It all felt a bit like I imagine a doomsday cult must feel when the day of rapture comes and goes without even thunderstorms. People mill aimlessly, dazed, lost. Where are the Visions? My guess is that Wizards got caught with its pants down on this one. About a year ago, Visions was about $6—expensive, but not yet out of control. A year prior to that, it was between $2 and $3, which is true of many commons and no cause for concern. It sounds as if R&D may have considered Visions briefly for MM2015, but after deciding scry wasn’t making it in the set, chose instead to print it as a summer FNM promo. They hoped that the FNM promo would be enough to keep the price in check, not realizing that the card was destined to gain another $4 to $7 by the time MM2015 was on shelves. Unfortunately, FNM promos almost never do much to prices. Supply is low and alternate art often drives those with existing copies to acquire the promo. The new artwork for Visions is dramatic, and the result is that many that already own playsets of the Fifth Dawn copies will want a new set anyway. Wizards is now stuck. Visions is badly in need of a larger reprint and there’s nowhere for it to go. It missed Elspeth versus Kiora, it missed MM2015, it’s terrible in Commander, and no expansion sets will have scry anytime soon. At this point, my thinking is that there are two potential lines for Visions to take. The first is that Wizards is going to make scry evergreen, as has been done with hexproof. It’s not a terribly complicated mechanic, and it provides an additional knob with which to balance spells. If this comes to pass, it could show up in any Standard-legal set. Is any of this likely? I can’t say that it is, but it’s one possible avenue. The second possibility is that Wizards may shoehorn it into Zendikar versus Eldrazi or this spring’s planeswalker Duel Deck. Either would be an appropriate place to include it. We saw Remand included in Jace versus Vraska last spring, which was no different. There exists an opinion that the absence of Visions indicates a banning on the horizon. There are a variety of reasons I don’t believe that to be the case. Rather than detail them all, suffice to say that it’s possible, yet I’m not operating as if it will come true. Unless scry becomes evergreen and is printed in Origins, none of the reprint avenues will do much to dramatically reduce the price. 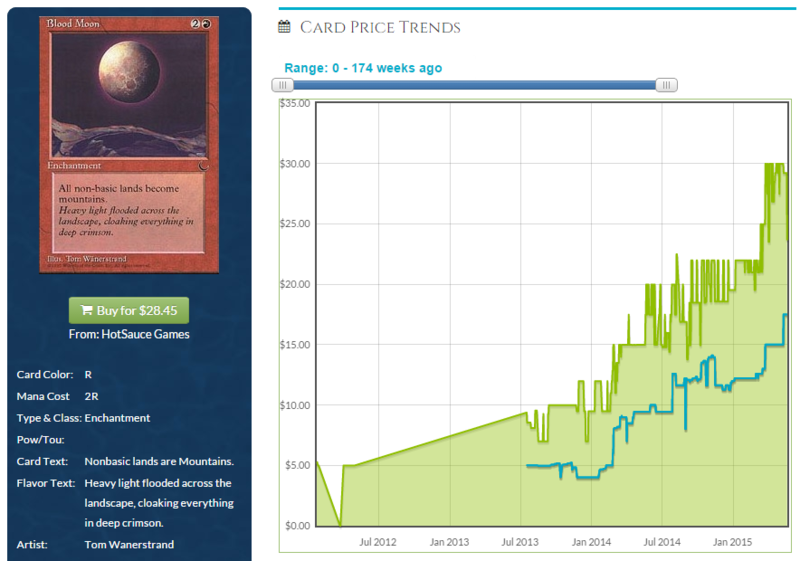 Showing up in a Duel Deck will take a notch out of it, sure, but not down to $3 or $5 levels. Mostly, it seems like Serum Visions is slated for continued growth, with $15 or $20 possible this summer. I’m not saying it will rise that high, but with no extra copies on the horizon and a mild panic regarding its absence, it’s not outside the realm of possibility. I’m happy to take these in trade in the short term. Pick them up now, ride any gains we see through the Modern PreTQ season, and ship them if they ever hit $15. Keep a personal set, and see just how high a modern-border common can go. As a contender for “card your opponent hates you most for casting on turn one,” Goblin Guide has been a tool of sadists in Modern since the birth of the format. With the recent “what the hell were they thinking” printing of Eidolon of the Great Revel, Guide has only gotten stronger. It spiked dramatically last summer, and lately has been hanging around in the $20 range. It’s possible that part of the reason it didn’t hang around closer to $30 was because people expected it to show up in MM2015. Now that it hasn’t, what’s the play? My guidance is to stay away. When Visions didn’t appear in the full spoiler, everyone was left asking, “Well then, just where the heck are they going to put it?” and, “Why is Travis using so many fake quotations?” With Goblin Guide, though, it’s just been, “Oh, I guess it’s in Battle for Zendikar.” Guide can show up in theoretically any expansion set, so long as it’s balanced around its presence. With no keywords and a name that doesn’t tie it to a specific plane, it’s the closest thing Magic has to a free agent. Knowing this, if we own speculative copies, we’re going to be biting our fingernails about whether Goblin Guide is going to show up every single time a spoiler season starts. This isn’t a position I’d like to be in. Even if they don’t reprint Guide this year and it ends up at $40, we can’t feel bad about staying away. Remember, be process-oriented. While Serum Visions is the most obvious missing common in Modern Masters 2015, I find Aven Mindcensor to be the most glaring omission in the silver slot. Mindcensor has been running around Modern and Legacy for years now with a peak price of $15 for nearly all of last year. That price has since come down to around $10, but without any extra copies entering the market, we may see that number climb back towards or even north of its previous peak. Magic 2015 brought with it Hushwing Gryff, another 2W 2/1 flash flyer with hateful text. At first blush, it seems that Aven Mindcensor may be primed to take over that slot this summer in Origins. After all, like Goblin Guide, there’s no keywords or flavor on the card that would prevent its inclusion in a core set or other expansion. And yet, I’m highly suspect of the theory that we see it in either Origins or Battle for Zendikar. Why? Well, part of the reason Mindcensor is so popular is that it hoses fetch land activations. When someone cracks a Scalding Tarn, you flash down Mindcensor in response, and then they can only look at the top four to find an island or a mountain. No luck? Too bad. It’s a way for hatebear style decks to restrict an opponent’s resources while simultaneously applying pressure. My concern is just how powerful this effect can be. Modern is a faster format, where losing your third or fourth land doesn’t necessarily lock you out of the game. There’s plenty of powerful ways to answer Mindcensor, such as Electrolyze or Forked Bolt. It’s dead against some opponents, and a format like Modern typically punishes dead cards much harder than Standard does. Mindcensor in Standard would be much stronger. Games go longer and average spell costs are much higher. Stopping someone’s fifth or sixth land in Modern is often irrelevant, but in Standard, it’s still possibly a completely backbreaking play. It effectively becomes an instant-speed Stone Rain for 2W that also leaves behind a 2/1 flyer. So long as fetch lands are in Standard, I don’t think we’ll see Mindcensor. The effect is simply much stronger in Standard than Modern as long as fetches are running around, and it’s strong in exactly the way Wizards doesn’t want it to be. Perhaps next spring, when Khans and the fetches rotate out, we’ll see Mindcensor show up. Until then, assuming Wizards doesn’t want it in Standard, it’s in the same boat that Serum Visions is: the two Duel Deck releases and maybe Commander product. If that’s the case, the short-term outlook for Mindcensor is quite rosy. This would have been great to talk about if it didn’t spike within 24 hours of the full spoiler dropping. As is: sell extras, stay away. The land denial strategy of choice in Modern, Blood Moon has a whopping five printings in the wild, and still clocks in at $30 today. Advocates of format accessibility (AFAs) were desperately hoping to see some full moon action in MM2015, but alas, we’ve seen no such exposure. There’s little debate regarding this one, either. While BMing is satisfying, it’s simply not an appropriate thing to do at your card store every Friday night. Very few would consider this a reasonable card to print in Standard, so we’re exclusively looking at supplementary product for more copies. Once again, that leaves us with a short list: upcoming Duel Decks and Commander product. Blood Moon would be a rather odd inclusion in the DD series, and putting it in a product aimed at EDH players is sure to piss off a huge swath of kitchen-table players that just want to be able to cast their spells. 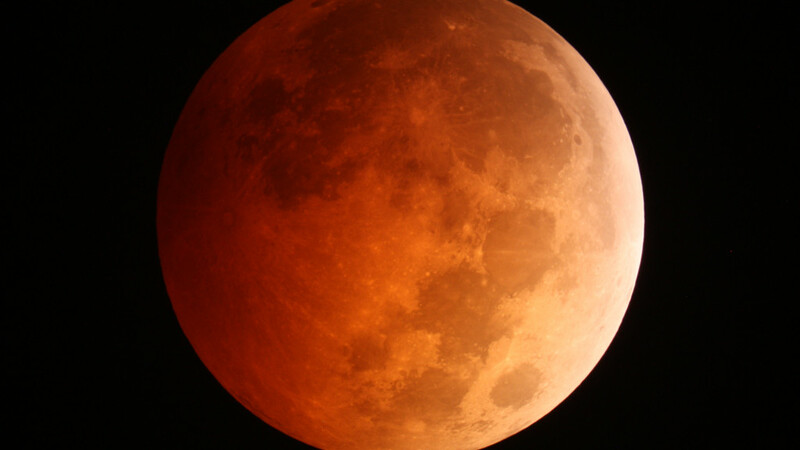 We’ve seen consistent and unchecked growth on Blood Moon so far, and at this point I see no reason for it to abate. No more copies are on the horizon, avenues for reprint won’t bring many to the market anyways, and this card’s price ceiling is at least $10 away. I’m expecting $40 before the end of the year, possibly higher. Trade accordingly. The list of cards not in MM2015 is of course much longer than the list of cards above. I’ve captured several high-profile cards here, but I’m sure there are many more out there that stand to gain. Infect commons like Vines of Vastwood and Might of Old Krosa come to mind. What others have you noticed and think are ripe opportunities? Previous PostUNLOCKED PROTRADER: I Believe You Have My StaplesNext PostBest Bet: Booster Packs vs Fat Packs? Turns out they’re $6 apiece, and unless there’s an infect duel deck, I don’t see that going down at all. Some of these have already turned a profit and I expect the others too shortly. Vines of Vastwood is in MM2. I’ve recently bought 49 glistener elves from TCG @ .33 each from one vendor. I would have bought another 37 at the same price except the other vendor is a friend. So many people build infect, and it’s an automatic 4-of.